How to choose your mount? 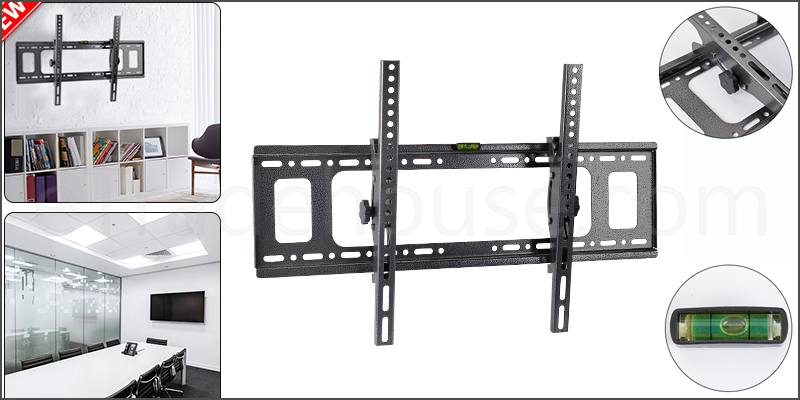 32-70 Inches Tilt Wall Bracket Mount Tilt for LED LCD Plasma 3D TV. Second, measure the weight of your TV, and compare with the Maximum Weight mentioned in the description. Premium quality- constructed with thick, high quality steel with durable powder coated finish. Adjustable one touch tilting for perfect viewing angle without the use of tools. Lift and lock system secures the TV into place for additional safety. Horizontal movement adjustment for perfect screen positioning. Material: Cold Rolled Steel Plate. Suit for screen size: 32"-70". Max VESA: 400x600mm, 400x400mm, 200x200mm. Up and down Tilt: ±15°. 1x TV Wall Bracket Mount.